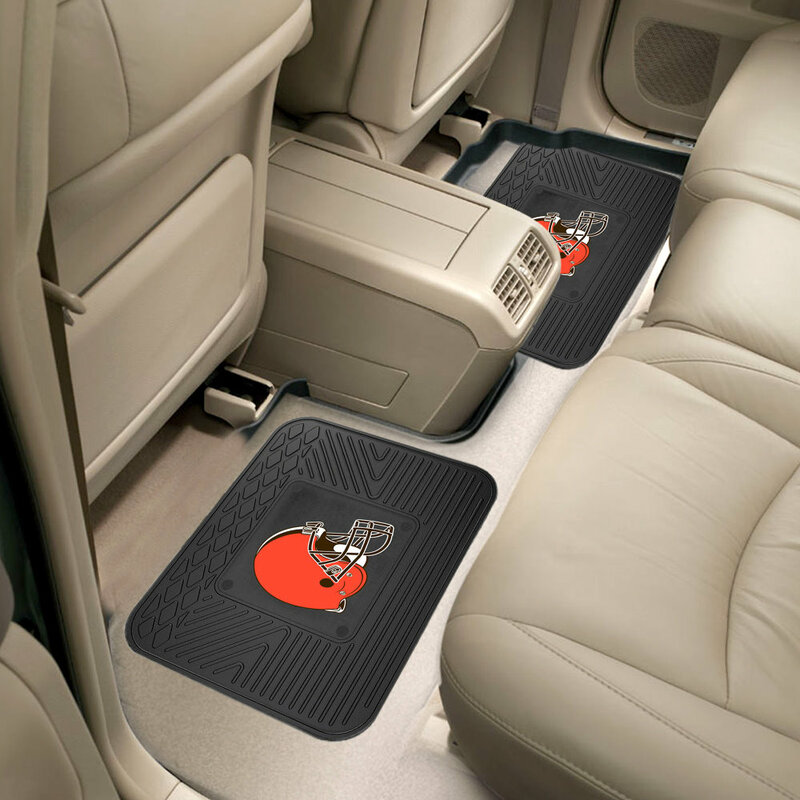 Boast your team colors with backseat Utility Mats by Sports Licensing Solutions. High quality and durable rubber construction with your favorite team's logo permanently molded in the center. Nibbed backing ensures a rugged and safe product that stays in place. 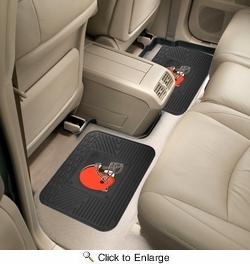 Due to its versatile design utility mats can be used as automotive rear floor mats for cars, trucks, and SUVs, door mats, pet dish mats, or workbench mats.